Is Hong Kong a Part of China, or Not? What Country is Hong Kong Actually In? Despite being the world's most visited city, the most Googled question about Hong Kong regards what country it's actually in -- China, or no? It's surprising because the answer isn't quite as simple as you might imagine. With its own money, passport and immigration channels, and legal system, Hong Kong isn't quite a part of China. But with Chinese flags flying from government buildings and Beijing appointing the Chief Executive who runs the city, it isn't quite independent either. Hong Kong was never an independent country. Until 1997, and the Hong Kong handover, Hong Kong was a colony of the United Kingdom. It was ruled by a governor appointed by parliament in London and answerable to the Queen. In many regards, it was a benign dictatorship. Post-handover, the colony of Hong Kong became the Hong Kong Special Administrative Region (SAR) and for official purposes is a part of China. But, for all intents and purposes, it is allowed to operate as an independent country. Below are just some of the ways Hong Kong behaves like an independent country. Hong Kong’s Basic Law, as agreed between China and Britain, means Hong Kong will retain its own currency (the Hong Kong dollar), legal system, and parliamentary system for fifty years. Hong Kong exercises a limited form of self-government. Its parliament is partially elected by popular vote and partially by Beijing approved caucuses of prominent nominees from business and policy bodies. The Chief Executive is appointed by Beijing. Protests in Hong Kong have been held to try and force Beijing to allow the city more democratic voting rights. This standoff has, in turn, created some tension between Hong Kong and Beijing. Similarly, Hong Kong's legal system is completely distinct from Beijing. It remains based on British common law and is considered free and impartial. The Chinese authorities have no right to arrest people in Hong Kong. Like other countries, they must apply for an international arrest warrant. Immigration and passport control is also separate from China. Visitors to Hong Kong, who usually receive visa-free access, will have to apply for a visa to visit China. There is a full international border between Hong Kong and China. Chinese nationals also require permits to visit Hong Kong. Hong Kongers have their own separate passports, the HKSAR passport. The import and export of goods between Hong Kong and China are also restricted, although rules and regulations have been relaxed. Investment between both countries now flows relatively freely. The only legal currency in Hong Kong is the homegrown Hong Kong Dollar, which is pegged to the US dollar. The Chinese Yuan is the official currency of China. The official languages of Hong Kong are Chinese (Cantonese) and English, not Mandarin. While the use of Mandarin has been growing, for the most part, Hong Kongers don't speak the language. Culturally, Hong Kong is also somewhat distinct from China. While the two share a clear cultural affinity, fifty years of communist rule in the mainland and British and international influence in Hong Kong has seen them diverge. 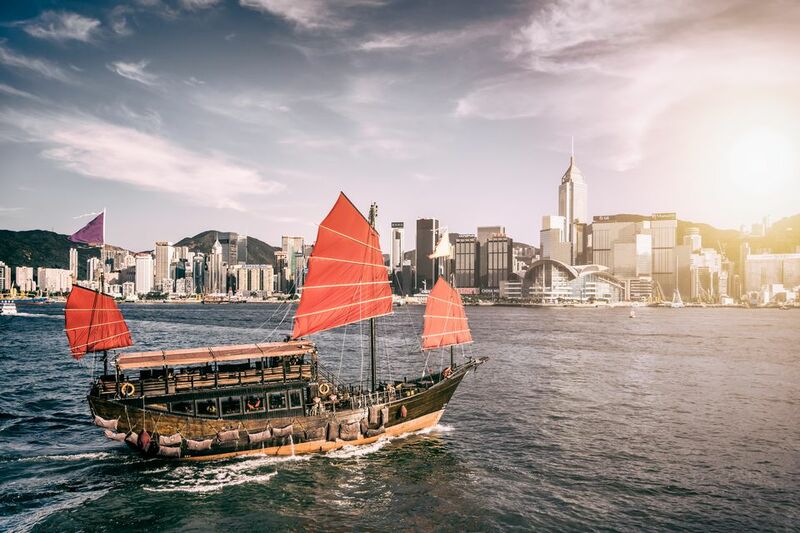 Surprisingly, Hong Kong remains a bastion of Chinese tradition. Flamboyant festivals, Buddhist rituals and martial art groups long banned by Mao flourished in Hong Kong. What's an SAR in China?